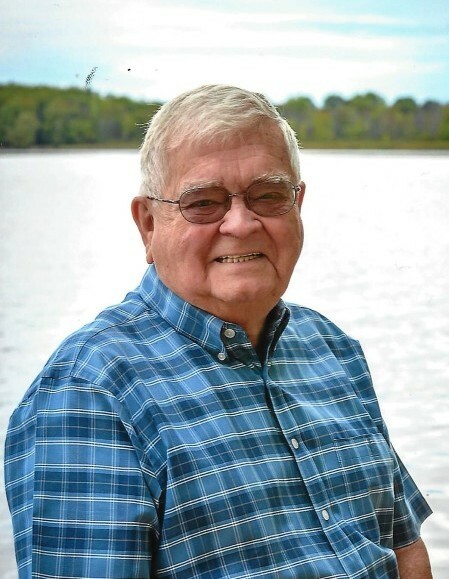 Marvin Lynwood Sandborn, (affectionately known as “Sparky” to those who were blessed enough to be close to him), 83, of Crystal, formerly of Portland, passed away on January 16, 2019. His final days were spent surrounded by family and friends that he had touched in such meaningful ways throughout his life. Marvin was born October 3, 1935, to Harold and Magle (Mull) Sandborn of Clare. He was preceded in death by his parents; loving wife of 53 years, Carol Sandborn; sister, Sandy (Jim) Slater; brother, Tom; and step-son, Tom Drolett. Surviving are his wife, Judy Sandborn; sons, Brad (Diane) Sandborn and Jeff (Lynn) Sandborn; grandchildren, Laurie (Wade) Almy, Karen (Bryan) Scheurer, Stacy (Mike) Feldpausch, and Kelly (James) Lebolt; step-grandchildren, Chris (Lindsey) Spitzley, Mark (Mandy) Spitzley, and Amy (Jordy) Lanz; 16 great-grandchildren; and Judy’s family, John, David, and Colleen Drolett, grandchildren, and great-grandchildren. Marvin was employed by General Motors for 37 years. After “retirement” he continued to work with E&R Industrial Sales as well as volunteering his time at Carson City Hospital. Anyone who knew Marv would recognize him as an avid baseball card collector, tractor driving, lake-loving man. He spent countless hours outdoors helping neighbors, “fixing things” in the garage, mastering puzzles and most importantly, enjoying time with his family – making memories that will last forever. Private family services for Marvin will be held at Lehman Funeral Homes in Portland, Michigan. In lieu of flowers, contributions can be made to Hospice House of Mid-Michigan, 1210 W. Saginaw Street, Lansing, MI 48915, in memory of Marvin. Online condolences may be made at www.lehmanfuneralhomes.com.